As higher ed consolidates, these institutions are restructuring curriculum, campuses and even tuition to help them stand out. Hiram College, located in a historic northeast Ohio village whose 1,200 residents are in equal numbers with the student body, has long had a progressive tilt. It admitted women and black students soon after its 1850 founding, tried scheduling innovations in the 1930s that earned national attention, in the '70s became one of the first institutions in the Midwest to offer "weekend college" for working adults and has partnered with community colleges for several years. And it mostly thrived — once called "the happiest college in the land" by the Saturday Evening Post. But when Lori Varlotta took over as president in the summer of 2014, like many happy small colleges, Hiram was struggling. Hiram and its peers were dealing with a string of now familiar problems: lingering recession-era gashes in endowments and state funding, competition online, locked-in faculty levels despite falling enrollment, and prospective students swamped with messages of ballooning college debt, rising tuition prices and the questionable value of higher education. To give Hiram a shot at successfully addressing those challenges, Varlotta worked with teams from across the campus to develop a broad series of reforms. They called them "The New Liberal Arts," a theme the college now prominently displays on its website. "Colleges don't think (the liberal arts) resonates with 18-year-olds, but we didn't want to abandon liberal arts," Varlotta said. "We just know they aren't the same (today) as they were in the 18th (century)." Hiram is not alone. To succeed, small liberal arts colleges across the country are rethinking their approach to curriculum and how much students pay for it, focusing on the value their small size affords to offer hands-on learning experiences and imbue students with leadership skills. Mary Marcy, president of Dominican University of California and author of an oft-cited white paper on paths forward for small colleges, said those that will succeed are, like Hiram, avoiding short-term fixes and moving quickly to "distinguish themselves in a noisy academic environment." "We all feel anxiety when we read about the closing of colleges like Green Mountain, but I'd be less encouraged if there weren’t so many good ideas to write about," Marcy said. "There are risks, but institutions have to adapt to the realities, plan long term and act." Hiram's broad package of reforms, which have taken shape with remarkable speed, blend two of Marcy's models, Varlotta said: one involving adherence to a "distinctive program model" based on committing to a specific program or philosophy, and one centered on the idea of combining the liberal arts, professional studies and civic engagement. Other models Marcy described involve colleges expanding in various ways (online, or around professional and graduate programs) or doubling down on traditional approaches. The changes at Hiram were many, including an overhaul of its first-year experience program with a new required three-course cluster that includes a seminar as well as humanities and social sciences classes. The courses are oriented around what Hiram calls the "Five Cs": character, career, curriculum, community and calling. Additionally, it consolidated its academic departments into five schools with an emphasis on interdisciplinary work, and it replaced general education requirements with themed core courses that address an "urgent challenge or emerging opportunity." It also added an initiative called "Tech and Trek," through which students are given mobile technology and a pair of hiking boots. The goal is to teach them how to mindfully use technology to connect with others and share ideas wherever they may be. Freshman enrollment climbed by about 30% between the fall of 2016 and 2017, Varlotta said. Fundraising, too, has been on the rise, with levels reached over the last three years coming in about 50% higher than most prior years. Last fall, the college launched a two-year, $40 million "boutique" campaign to raise money for improving recruitment and retention. 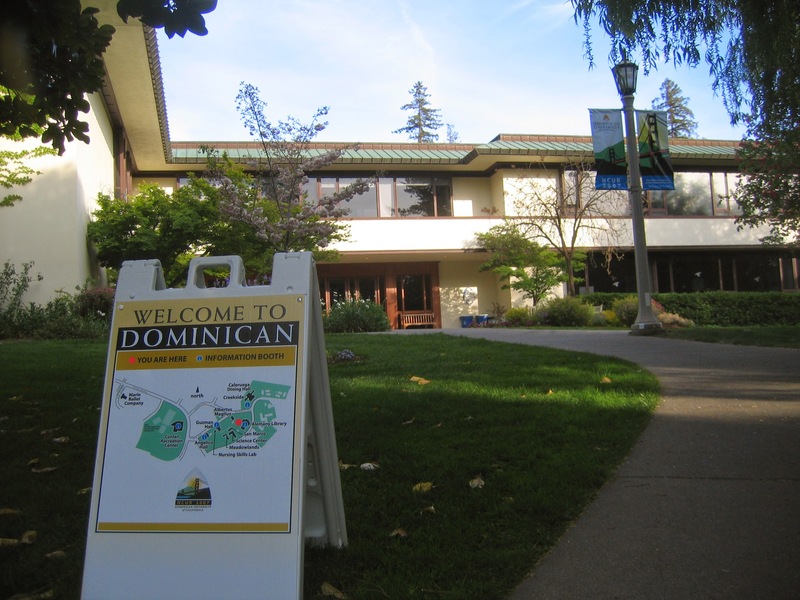 Dominican University of California is one of several small liberal arts colleges expanding its programs to draw students. In California, Dominican University also restructured its approach to liberal education. Called the Dominican Experience, it has four components: community engagement, a capstone-type project, a digital portfolio, and advising and mentoring. The university also added targeted academic programs for in-demand careers in the region, primarily in health care. And it recently partnered with The Make School, a coding company based in San Francisco, to offer a minor in computer science, which previously was unavailable to Dominican students. The Make School will, in turn, offer an accredited bachelor's in applied computer science through the university. Dominican's four-year graduation rate rose from 34% to 58% between 2007 and 2014, and its finances improved substantially. One contributor to those gains was the doubling of revenue not tied to enrollment or its endowment to $3.3 million in four years, a result of new summer and certificate programs and partnerships such as summer sports camps. The university also just completed a 24-hour fundraising drive that brought in more than $106,000. Agnes Scott College took a leadership-minded tack with its Summit program, which since the fall of 2015 has required students to complete coursework in critical thinking, writing, public speaking, teamwork and digital literacy. Freshmen at the suburban Atlanta women's college participate in a weeklong cultural immersion travel experience with a faculty member, supported by coursework in global learning. During their first year, students also develop a digital portfolio they will use throughout the rest of their time in college to showcase their skills and accomplishments. "Summit has reinvented our liberal arts education by infusing it with global learning and leadership development," said Elaine Meyer-Lee, associate vice president for global learning and leadership development. The college has record retention rates of about 90%, according to Meyer-Lee, and the size of its incoming class grew 44% to 324 students in the four years since the program began, with 95% of its incoming students saying the Summit program was important in their decision. Goucher College has added a handful of new buildings designed to encourage students to connect. 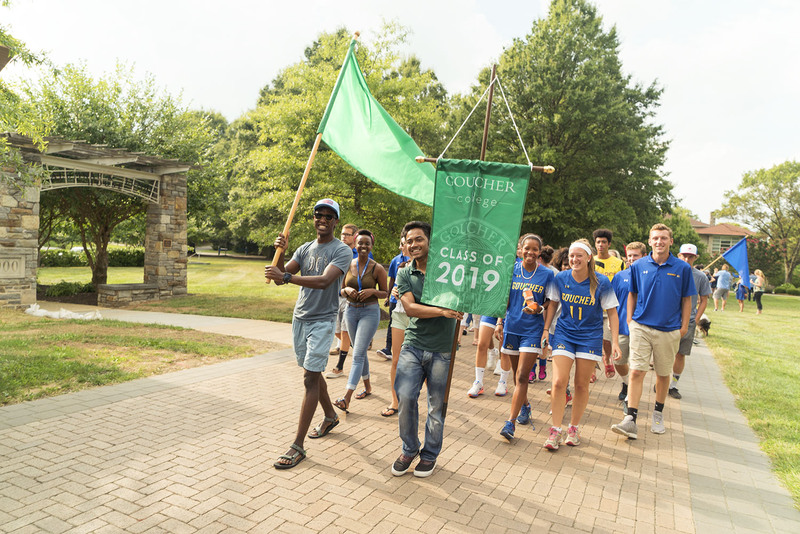 Like Varlotta, Goucher College President José Antonio Bowen can tick off a stream of new initiatives that he said have contributed to three years of enrollment increases, as well as the share of minority students in the freshman class rising to 42% from 31% in 2014. "It is all very intentional," he said. "We are providing a liberal arts education, but we are doing it in radically different ways." Bowen, who will step down at the end of the current academic year after five years in the position, explained broader drivers of those changes in an address to the Association of American Colleges and Universities last year. The changes at Goucher range from bigger initiatives like allowing students to design their own majors to smaller ones such as restrictions on students eating meals in their dorm rooms to heighten student interaction. (Meals served in campus cafeterias are up 50%.) Bowen has faced criticism, however, for a parallel process underway to eliminate some low-enrollment programs, including mathematics, music, physics, religion and Russian studies. Goucher, too, requires that students study abroad and that they develop proficiency in writing, data analytics and a foreign language. In addition to its programmatic changes, Goucher has also added spaces on campus designed to bring students together. A new first-year student "village" mixes residential and common areas including lounges, study rooms, kitchens and a wellness center — all designed to encourage students to connect. The college also recently opened a newly renovated student and dining center, with paths cut to better connect the building to the rest of campus. Many of Goucher's initiatives are too new to have clear results, Bowen said, though he emphasizes they follow a theme: "creating thinkers and explorers" while also meeting the needs of a "learning economy," in which much of the knowledge required for a job is delivered after graduation. "We aren’t going to suddenly teach gaming or offer a course in marketing cannabis just because it's legal," he said. "The best computer science degree is out of date in five years. So, we have to really develop self-regulated thinkers with skills employers really want and need — and not just say we are." Goucher College renovated its Mary Fisher Hall in the fall of 2018 in order to centralize dining options on campus. In addition to shifting their curriculum, small liberal arts colleges are also taking a harder look at what students pay in an effort to compete in a market in which many prospective students are put off by rising tuition prices. That has led some to cut tuition. But St. John's College — which has campuses in Annapolis, Maryland, and Santa Fe, New Mexico, and focuses its curriculum on a study of "great books" — has gotten attention for taking a different approach to address cost concerns. "We start off with an advantage," said Mark Roosevelt, president of the Santa Fe campus. "We know who we are and what we aren't. And we are happy to double down on who we are." 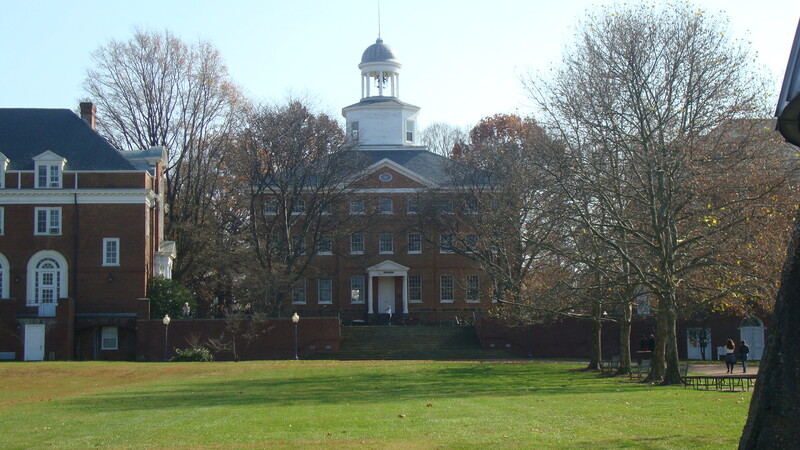 The college got 40% of its revenue from tuition as of 2017. However, in a survey nearly three-fourths of alumni said tuition was too expensive and they couldn't afford to send their children there, Inside Higher Ed reported. "We have been able to resist a lot of trends in higher education, but that endless rise in tuition was one we didn't," Roosevelt said. "We made a mistake and we needed to correct it." In an attempt to do that, the college cut its published tuition price by $17,000 to $35,000 and dedicated itself to an aggressive $300 million fundraising campaign that Roosevelt said is on track to double the college's endowment by 2023. St. John's College has launched a $300 million fundraising campaign to offset a large tuition discount. St. John's joins other small colleges trying to find a way forward by discounting student costs or raising their fundraising game as enrollment declines render tuition less reliable. A year ago, Goucher College kicked off a $100 million capital campaign, its most ambitious yet. Fundraising famously saved one small liberal arts college, Sweet Briar, from closure in 2015 and in subsequent years helped it get back on its feet as it overhauled its curriculum. Fundraising is one long-term solution for smaller colleges, as depending too much on tuition revenue can be risky. A 2016 study from Parthenon-EY Education identified several factors that make small colleges vulnerable to closure, and among them was tuition making up more than 85% of revenue. Also on the list were having less than 1,000 students enrolled, lacking online academic programs, increasing tuition by more than 8% annually and discounting tuition by more than 35%. The report recommends that small colleges collaborate as a way to move forward, but it and other analyses predict continued consolidation in higher ed. Small institutions are aware they need to change but shouldn't do so haphazardly, said Lucie Lapovsky, former president of Mercy College and now a college management consultant who wrote a detailed report on the topic. She recommends that colleges carefully use any data they can obtain to help them develop a comprehensive long-term plan — and be nimble enough to respond to change. "Schools good at using big data will be ahead of the game, especially in recruitment," she said. "They need to be very strategic about marketing and tuition discounting, and think carefully about next steps. But they need to take them."